The Democratic and Republican parties are destroying this country. The American people want change. 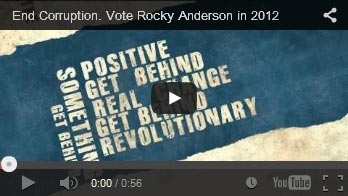 Why vote Rocky Anderson in 2012? 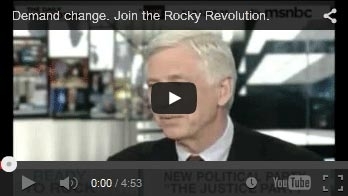 Rocky on the news: Greatest hits! 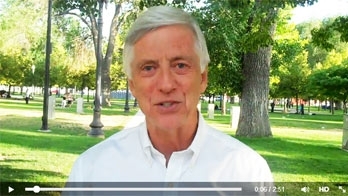 In the wake a nation wide meningitis outbreak caused by contaminated drugs, Rocky Anderson and Gary Johnson square off in a debate about the government’s role in regulating the drug industry. How do you spoil something that is already rotten? 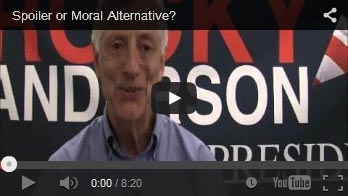 Rocky Anderson gives three compelling reasons to vote your conscience in lieu the “spoiler” myth surrounding thirty party candidates. 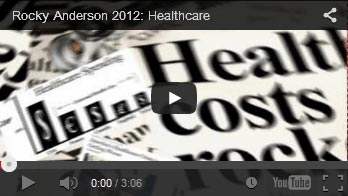 Rocky Anderson discusses how single-payer health insurance, Medicare for all, will actually cost less and provide better health care for Americans. 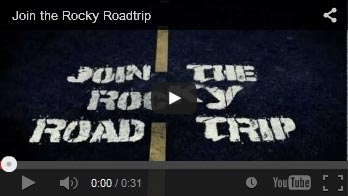 Let’s keep ROCKY rolling. Campaign staffers have hit the road in the new Rocky mobile to cruise across the country gathering signatures to get Rocky on the ballot in all 50 states. 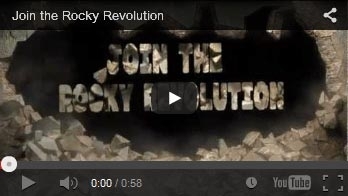 Help Rocky out when the crew comes to your town. Give em your signatures and share the message with friends. Rocky is looking forward to marching with Minnesotans United for All Families in the Ashley Rukes GLBT Pride Parade tomorrow morning. I would ask that after you listen to my message you forward it to any friends or family members and consider making a donation. 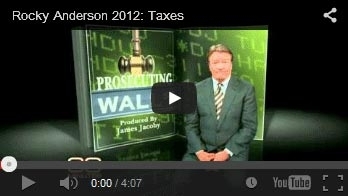 Today we tell corrupt politicians that we have had enough. 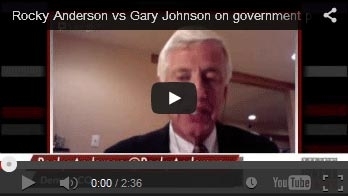 Today we stand up to the two-party duopoly. Today we take back the nation for the American people. Donate today and together we can make a difference. 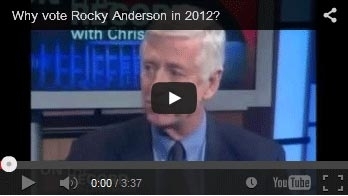 Rocky Anderson interview from the Rick Smith radio show. Get over your fear of voting for a 3rd party candidate for president.